In this page readers will find articles, presentations, documents and other information about the Labex Korea Program. Click the titles to open, to read or to download the files. “Turning Science into Agribusiness – the Development of Advanced Tropical Agriculture in Brazil”. This is a PDF file of a special lecture presented by the Coordinator of Labex Korea on November 2nd, 2010, at the Department of Latin America Studies of the Hankuk University of Foreign Studies, in Seoul – Republic of Korea. 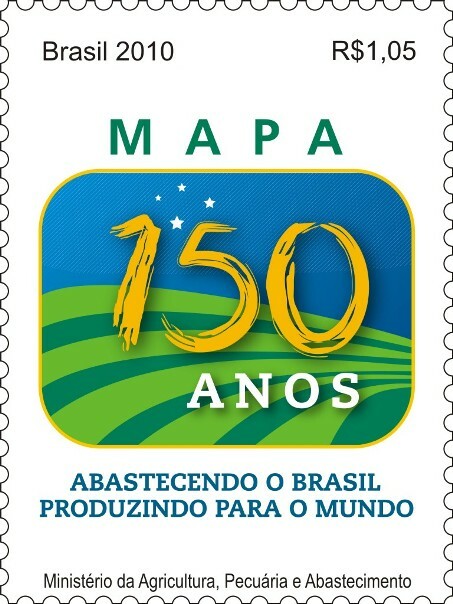 “The Brazilian Agricultural Research Corporation – Embrapa, Innovation Capacity and International Cooperation”. This is a PDF file of a presentation by the Coordinator of Labex Korea at the International Agricultural R&D Forum, organized by the Rural Development Administration – RDA, in Suwon, South Korea, in October 26, 2010. “Sustainable Agriculture in Brazil- Advances and Future Challenges”. this is a PDF file of a presentation from Embrapa at the side-event “Pathways to Sustainable Agriculture in Brazil“ organized by the Brazilian Ministry of Agriculture, Livestock and Food Supply – MAPA, on October 21st, 2010, during the Tenth Meeting of the Conference of the Parties to the Convention on Biological Diversity – COP 10, in Nagoya, Japan. Status of renewable energy development and use in Brazil – References for a dialog towards a Brazil-Korea cooperation in bioenergy. This is a PDF file of Mauricio Lopes´s presentation at the 14th Korea-Latin America Business Forum, held on September 29-30, 2010 at the COEX Conference Center – Seoul, Republic of Korea. “Science, Technology and Innovation for Conservation and Sustainable Use of Natural Resources in the Brazilian Amazon” – This is a PDF file of Mauricio Lopes´s presentation at the International Seminar “Water and Infrastructure for Regional Development”, Panel III, “The Strategy for the Development of the Brazilian Amazon”, held at the Brazil Pavilion – Expo Shanghai – China – September 8, 2010. Click here to read and to download the Abstract. Click here do read and download the Chinese version of the presentation. Embrapa Labex Korea Program – Synthesis of Projects and Activities in the Period October 2009 – August 2010. This synthesis was prepared for the Korea-Brazil Forum, co-organized by the Korea Foundation and the Brazilian Ministry of External Relations, and held in Fortaleza, Brazil, on September 1st to 3rd, 2010. The Brazilian Agricultural Research Corporation, Embrapa – Possibilities of Cooperation with RDA in Strawberry R&D. This is a PDF file of Mauricio Lopes´s seminar presented during visit to the National Institute of Horticultural & Herbal Science, Protected Horticulture Research Station – (NIHHS), of the Rural Development Administration – RDA, in Busan, Korea, in August 31st, 2010. “Brazil and Korea on Green Growth – Elements for a cooperation agenda based on science, technology and innovation“, By Ambassador Edmundo Sussumu Fujita, Mauricio Antonio Lopes and Daniel Fink. Study presented at the “International Conference for Environmental Cooperation and Green Growth between Korea, Latin America and the Caribbean” held in July 2010 in Seoul. “Innovation is the Engine of South Korea’s Green Economy” is an article written by Ambassador Edmundo Fujita, Mauricio Lopes and Daniel Fink, and published (in Portuguese) in the August 3rd, 2010 edition of the Brazilian Society for the Advancement of Science´s Newsletter. “Agricultural Residues as Sources of Biomass and Sustainable Energy in Asia“. This is an article (In Portuguese) published in the July 2010 Newsletter of SBERA – “Brazilian Society of Agricultural and Agroindustrial Waste Management”. “Green Growth” – Emerging Paradigm for Development in Asia Generates Challenges and Opportunities in Biological Resources´ R&D“. This is a PDF file of Mauricio Lopes´s presentation (In Portuguese) at the “Brazilian Congress of Genetic Resources”, held in Salvador, BA, Brazil, on June 8-11, 2010. Click here to read and to download the Abstract in English. “Virtual Laboratory of Embrapa in Asia – Labex Korea.” This is a PDF file of Mauricio Lopes´s presentation (In Portuguese) prepared for the “General Meeting of Embrapa´s Managers”, held in Anapolis, GO, Brazil, in June 7th, 2010. “Brazil and Korea on Green Growth – Elements for a cooperation agenda based on science, technology and innovation” Presentation prepared for the “International Conference for Environmental Cooperation and Green Growth between Korea, Latin America and the Caribbean” held in Seoul, on July 15-16, 2010. Special Lectures on Agricultural Biotechnology. These are PDF files of lectures presented by the Coordinator of Labex Korea at the Spring 2010 “Bio-Medical Technology Foresights Course”, from the Graduate School of Innovation and Technology Management of KAIST – Korea Advanced Institute of Science and Technology, located in Daejeon, Korea. Conservation and Sustainable Use of Biodiversity in Brazil. Seminar presented by Mauricio Lopes on May 12, 2010 at the 6th International Training Course on Environmental Policies (ITCEP), in Incheon, Republic of Korea. Agricultural Innovation and Challenges in Promotion of Knowledge and Information Flows in Agrifood Systems in Brazil. Seminar presented by Mauricio Lopes on May 7th, 2010, at the Extension Empowerment Division of the Rural Development Administration – RDA Suwon, Republic of Korea. Synthesis of the Embrapa Management System (SEG). This is a PDF file with a brief summary of Embrapa´s management system, that incorporates planning, execution, follow-up, assessment and feedback of the organization´s projects and processes. Status of renewable energy development and use in Brazil – References for a dialog towards an Embrapa-KRICT R&D cooperation. Seminar presented by Mauricio Lopes on March 3rd, 2010, at the Korea Research Institute of Chemical Technology – KRICT, in Daejeon – South Korea. Challenges and Opportunities for Cooperation in Agrobiodiversity Research in the Context of the Labex Program – Seminar presented by Mauricio Lopes on 25 February 2010, at the Agrobiodiversity Center of the Rural Development Administration (RDA), in Suwon, South Korea. Embrapa Africa – A Brazilian Strategy to Support Agricultural Development in Africa. Special Seminar presented by Mauricio Lopes on 19 February 2010, at the International Technical Cooperation Center – ITCC, of the Rural Development Administration (RDA), in Suwon, South Korea. The Brazilian Agricultural Research for Development System – Country Brief prepared by the Coordinators of Labex Korea and Labex Europe for the International Workshop on Fast Growing Economies’ Role in Global Agricultural Research for Development (ARD), that took place in Beijing, China, on 8-10 February 2010. A copy of the corresponding presentation can be viewed and downloaded from here. Renewable Energy Development and Use in Brazil – Perspectives for a Brazil-Korea Cooperation in Bioenergy Research – Presentation made by Mauricio Lopes at the Korea Institute of Energy Research – KIER, in Daejeon, South Korea, December 21st, 2009. The Labex experience – Presentation made by Mauricio Lopes during the inaugural ceremony of Labex Korea, which was held at the Rural Development Administration – RDA, in Suwon, South Korea, in December 10th, 2009. Brazilian Science, Technology and Innovation at KAIST ONE: This is a PDF file of the Brazilian presentation on Science, Technology and Innovation, at the event organized by KAIST, Korea Advanced Institute of Science and Technology, in Daejeon. KAIST ONE is an international networking event that serves as a platform for students of KAIST present their countries to the academic community. The Coordinator of Labex Korea, Mauricio Lopes, and the Advisor of C&T at the Brazilian Embassy in Seoul, Daniel Fink, were responsible for presenting Brazil at the KAIST ONE edition held on December 3, 2009. Brazilian Bioenergy – A Successful Case of Innovation – Presentation made by Mauricio Lopes at the 1st FEALAC Expert Meeting on Current Issues – “Renewable Energy and Research and Development (R&D)”, which was held in Seoul, South Korea, October 8th, 2009. Brazilian Agriculture Development in a Global Perspective – Presentation by Milton Suzuki, from Bayer Crop Science, Development and Field Trial – Latin America, on “Nuffield International Contemporary Schoolars Conference, New Zeland, March, 2011. Urban agriculture in Brazil: What we know? What shoul we know? Presentation slides by Marina Castelo Branco from Embrapa Horticulture, Embrapa, Brazil. Use of agricultural practicies in citriculture of survive Huanglongbing – The Embrapa Cassava & Fruits document (PDF) about Huanglongbing has the propose to discuss the selection of natural occoring tolerance material, evaluation of new regions for citrus production, unusually concepts of screened nursey trees, reppelent and atractive plants, low-imput production systems, use of resistance elicitors, protected cultivation, intercropping and ultra hig density. U.S. Beef and Pork Exports Grew in 2011 Pork supplies are not expected to change dramatically in the first half of 2012 but market hog numbers in the fourth quarter are expected to incrementally increase again, writes Shana Ellis, Extension Livestock Economics at Iowa State University. National Institute of Animal Science (NIAS) is a branch of the “Rural Development Administration” – RDA, which has a National Agenda Programs for Agriculture Research and Development, including: Future High-Technology, On-Farm Technology and Agro-Food Technology. Labex Korea, with the objective of facilitating the search for the specific information, prepared a summary of the categories organization in terms of Research, Development, and Technology Transfer. Click here download the File (PDF) and know the structure, operation and the main results obtained in 2010. “The Status of Bioenergy in Brazil”. This is a PDF file of a presentation by the Coordinator of Labex Korea, Gilberto Silber Schmidt, at the International Symposium, Bioenergy Korea Conference 2012, organized by Chonnam National University, in Gwangju, South Korea, in April 24-25, 2012. “Current Status and Cooperation Strategies for Agricultural Development in Brazil” This is a PDF file of a presentation by the Coordinator of Labex Korea, Gilberto Silber Schmidt, at the Global Forum on Agricultural Technology Cooperation 2012, organized by Rural Development Administration, in Suwon, South Korea, in May 2nd, 2012. “The Experience of Embrapa Temperate Climate on Technology Transfer to Family Farm” This is a PDF file of a presentation by Dr Sérgio Renan Alves, Leader of R&D from Embrapa Temperate Climate, at the “RDA – Labex Korea Joint Seminar on the Strategy of Technology Transfer”, in Suwon, South Korea, in May 7th, 2012. “The Strategy of Technology Transfer of Embrapa, Brazil” . This is a PDF file of a presentation by Dr Lucio Brunale, Leader of Technology Transfer Department from Embrapa, at the “RDA – Labex Korea Joint Seminar on the Strategy of Technology Transfer”, in Suwon, South Korea, in May 7th, 2012. The Strategy and Experience of Technology Transfer of RDA. This is a PDF file of a presentation by Dr Jun-Yong Chung, Director of Extension Empowerment Division, RDA, at the “RDA – Labex Korea Joint Seminar on the Strategy of Technology Transfer”, in Suwon, South Korea, in May 7th, 2012. Animal Waste as a Source of By-Products and Bioenergy. This is a PDF file of a presentation by Dr Márcio Busi da Silva, Researcher from Embrapa Swine and Poutry, Concórdia, Santa Catarina Brasil, at the “2012 Global Green Hub Korea (GGHK)”, in Seuol, South Korea, in June 5th, 2012. “National Strategy for Management of Animal Genetic_Resources_and Responding to Global Issue”. This is a PDF file of a presentation by the Coordinator of Labex Korea, Gilberto Silber Schmidt, at the International Symposium on Current Issues in Animal Genetic Resources and Response Strategies, organized by National Institute of Animal Science from Rural Development Administration, in Suwon, South Korea, in July 5th, 2012. 3rd Workshop RDA/Embrapa – This event was proposed with the objective to establish strategies for cooperation between both Institutions to toward technological innovations through research, development and technology transfer, which enable to boost the agricultural sector in both countries. Probiotics and enzymes development and utilization in Brazil: The importance and challenges for the future. “Mecanização e Automação“. This is a PDF file of equipment produced by Korean Companies usefull for small farms, prepared by the Coordinator of Labex Korea, Gilberto Silber Schmidt, July 2013. Intellectual Property Korea – This publication (PDF) aims to promote the development of empirical research on the economics of intellectual property in the Republic of Korea, and endeavors to provide policy makers with research based conclusions in different areas of intellectual property. The project was initiated by convening a National Roundtable on the Economics of Intellectual Property in the Republic of Korea which took place in the Seoul National University in April 2008. Property Office (KIPO) and the Copyright Office participated in the Roundtable. After the roundtable, the economists and other participants were invited to submit research proposals to WIPO, which were peer-reviewed and selected for funding by WIPO. First drafts of all the papers were also peer reviewed by internationally renowned experts, enabling the authors to improve their papers and incorporate some of the suggestions. The final papers have been included in this publication.